ASK has announced it will supply its CPL108 contactless couplers to be integrated into all recharging stations of MOBI.E, Portugal’s nationwide electric vehicle (EV) charging network. Introduced in December 2010, MOBI.E comprises 1,300 EV charging stations across all of continental Portugal. 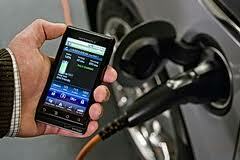 The service is accessible to all users and compatible with all manufacturers of EV’s. According to ASK, Portugal is the first country in the world to implement such a network. The CPL108 is a compact, multipurpose contactless coupler based on ASK’s contactless module UCM108. It complies with the latest standards including ISO14443 A/B/B’, Felica, ISO18092 (NFC), Mifare and Mifare Plus.